Many thanks to Simon Pedersen, I have gotten the opportunity to sample this quite nice absenta. It's a 1969 Augustin Bofil. Considering the many finer absentas that obviously has been present, one cannot but wonder where they all went. Upon smelling it neat, the first impression is mainly anise. Maybe expected from an absenta, but it was in no way too much. If one moves behind the anise, there's the lighter kind of fruityness I believe might be from fennel. It blends very nicely and the 65 degree alcohol is barely noticable. Tasting it neat does however remind you about its alcohol content - it's got quite the heat. I diluted it with two parts water, and already after one part water it presents a very nice louche. When diluted more aromas seem to linger out of the glass and present a much more complex drink. It is by no means as complex or floral as the finest vintage ones I've had, but the dominant anise and fennel smells seem to have mellowed out. Tasting it now, diluted it gives a very nice rounded taste. Sure enough there's a heavy dose of anise at first but there's a very appealing slightly bitter finish to it. It doesn't quite reach the complexity and well balanced taste as the 1969 Montana, but this is surely a fine drink. I tried this one both with and without sugar, and I find it a bit nicer after adding sugar to it, but it does very well without. 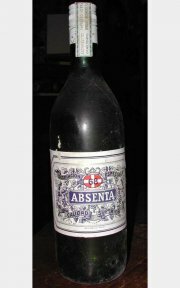 I do believe one could dillute it a little bit more, to make it a little more 'refreshing', but at this ratio I think it gives a perfect experience of this absenta really is, which according to me is - a very fine, high quality absinthe that I could easily enjoy drinking regularly. As I said, it's a real pity that the spanish absinthes, the absentas, of today doesn't present the same quality as the vintage ones I've had.